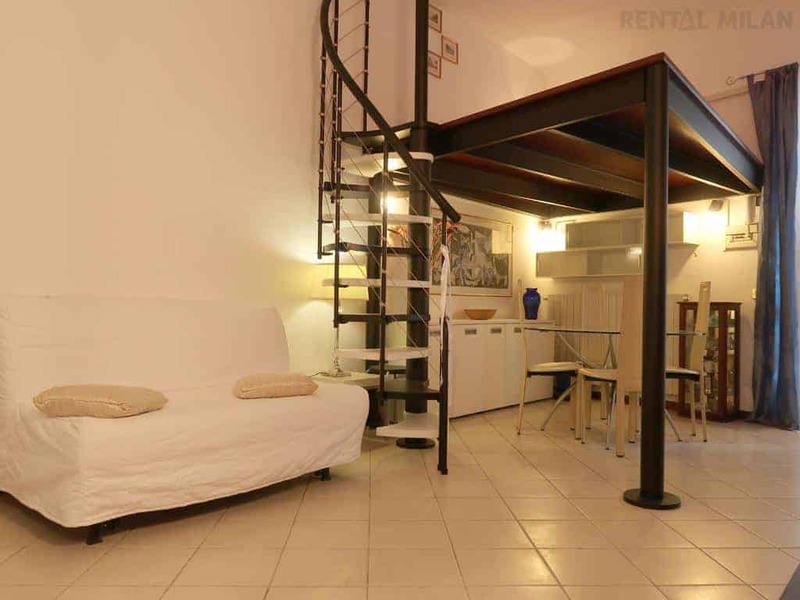 Recently renovated modern studio apartment, quiet and bright, on the rise floor, facing the quiet inner courtyard of a nice Art Nouveau building. Modern white fully equipped kitchen, with dish washer, microwaves, new gas heater and a glass rounded table with chairs. Sofa double bed, TV and air conditioning. There is a nice and modern wooden structure with a loft queen size bed (in the pictures there is still a single bed, not yet updated, I’m sorry). Modern bathroom with shower and washing machine. Very well served area, just a few minutes walking: supermarket, laundry, pharmacy, several restaurants, bars and clubs. Very close to Piazzale Loreto and Corso Buenos Aires for shopping. Perfect to reach Città Studi and Politecnico Bovisa. Great location to get around the city by metro (M1 Pasteur and M2 Caiazzo) and by other public transports.